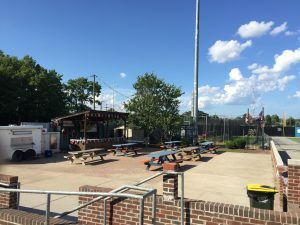 The stadium was designed by none other than Branch Rickey, to house the Brooklyn Dodgers’ minor league team, the Newport News Dodgers. Legends such as Gil Hodges and Johnny Bench (Reds had a minor league team there in the 1960’s) have stepped foot on the field. 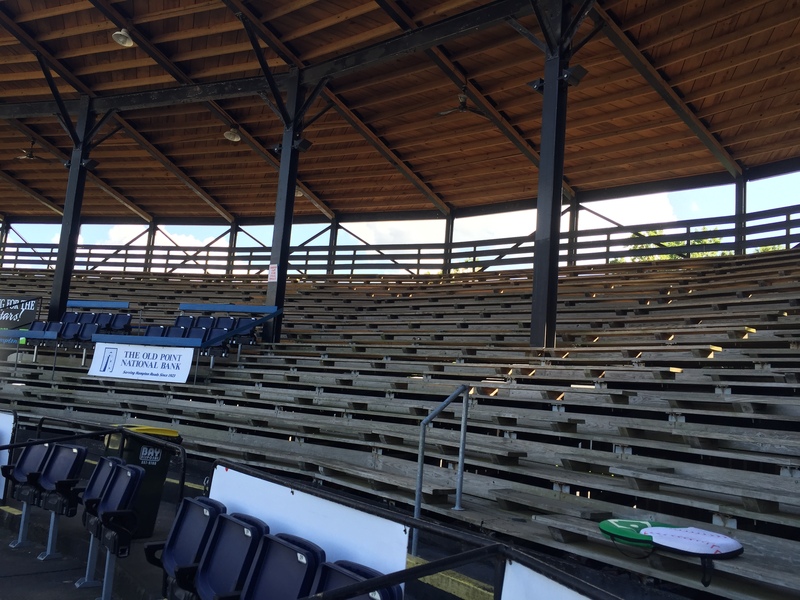 Yes, the stadium is decrypted in several sections, but the wooden bleachers and old fashioned dugouts make the fans step into the baseball history. 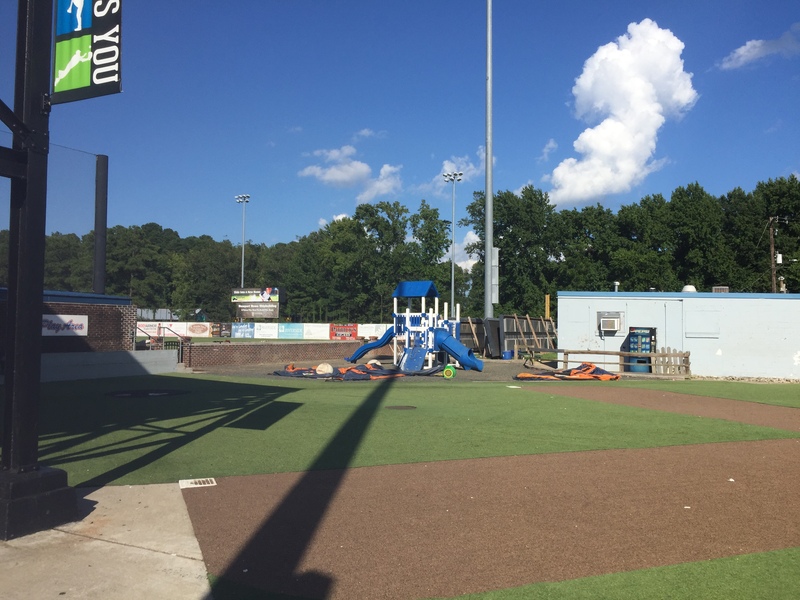 War Memorial Stadium has been the home to the summer collegiate team of the Coastal Plain League, the Peninsula Pilots, since 2000. 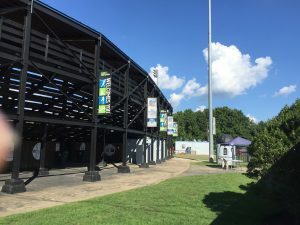 What makes the stadium great in the present day, is the atmosphere the fans create for the 26 home games during the hot summers in Hampton, VA. The stadium is run very affectionately with the purpose of making sure the fans have a great time at the ballpark. Like most old ballparks, after getting a hot dog and a beer from the concession stands, one can walk up one of three tunnels/entryways to the stands. As the Pilots have been gaining success, they have added a playground and small whiffle ball field for the kids in right field, and a bar/party deck in left. War Memorial is also one of few Coastal Plain League stadiums that have a video board and radar gun. Overall, factoring in the welcoming atmosphere, fun environment, and soaking in the history still left at the stadium, War Memorial is an A grade ballpark. This entry was posted in Archives, Stadiums Reviews by Johnny Lumsden. Bookmark the permalink.